“She plays good for a girl.” Or, somewhat more pejoratively, “She plays good for a chick.” Both phrases have been heard repeatedly, in varying forms, since the early days of jazz. Over the many decades in which talented female instrumentalists (playing everything from horns to drums to keys) have been trying, often with little success, to break through the brass ceiling of jazz. 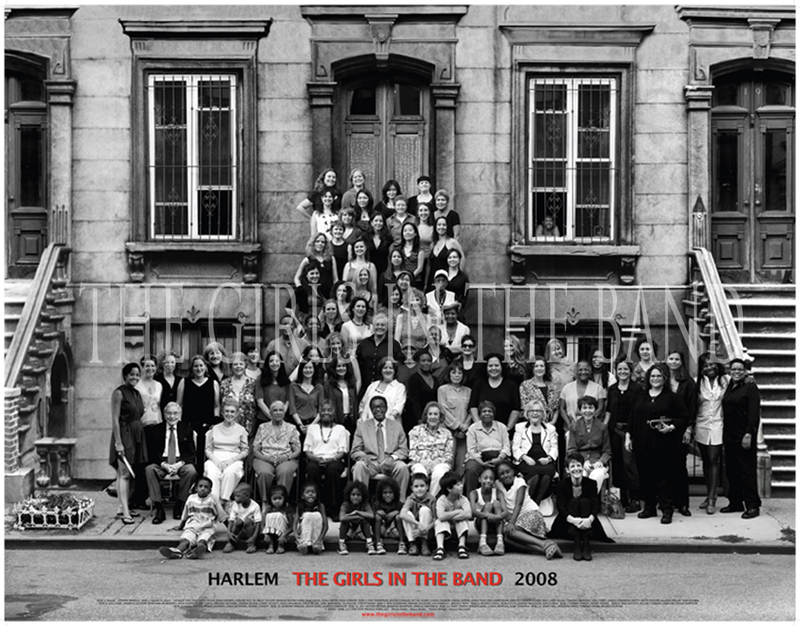 And now, film director Judy Chaikin has produced a documentary film, appropriately titled The Girls in the Band, that brilliantly surveys an aspect of jazz that has generally remained below the surface. It’s a story that stretches from the ’20s into the present. A story of sexism, racism, diminished opportunities that have largely kept female jazz instrumentalists away from many of the prime performing opportunities, from big bands to small groups, from the benefits of studio gigs and the most challenging creative situations, despite the high quality of their skills. On Tuesday night Chaikin presented a screening of her documentary before a large, enthusiastic audience at a Muse/Ique event at the Avon Company warehouse in Pasadena. To further contextualize the message of the film, the evening opened with a set by a group of young female players, and closed with a performance by saxophonist Ann Patterson’s Maiden Voyage, a small group version of the big, all-female jazz band Patterson has been leading for years. The same story is present in a series of insightful interviews with female players reaching from the ’20s to the present. Among them: Melba Liston, Roz Cron and the International Sweethearts of Rhythm, Clora Bryant, Cindy Blackman, Marian McPartland. Each had a fascinating reminiscence to offer, providing compelling slants on a unique era in American musical history. – Nov. 15 & 17 @ The Cleveland Museum of Art in Cleveland, OH. – Nov.15 – 21 @ Laemmle’s Playhouse 7 in Pasadena, CA. – Nov. 16 & 17 @ Laemmle’s Claremont 5 in Claremont, CA. – Nov. 23 & 24 @ Laemmle’s Monica 4 in Santa Monica, CA. – Nov. 25 @ Laemmle’s Musica Hall 3 in Beverly Hills, CA. Photo of the Ann Patterson ensemble by Faith Frenz.